Master Box Dimension : 24" X 19" X 20"
Gone fishin' is what your toddlers are going to be saying once they this toy in their hand. 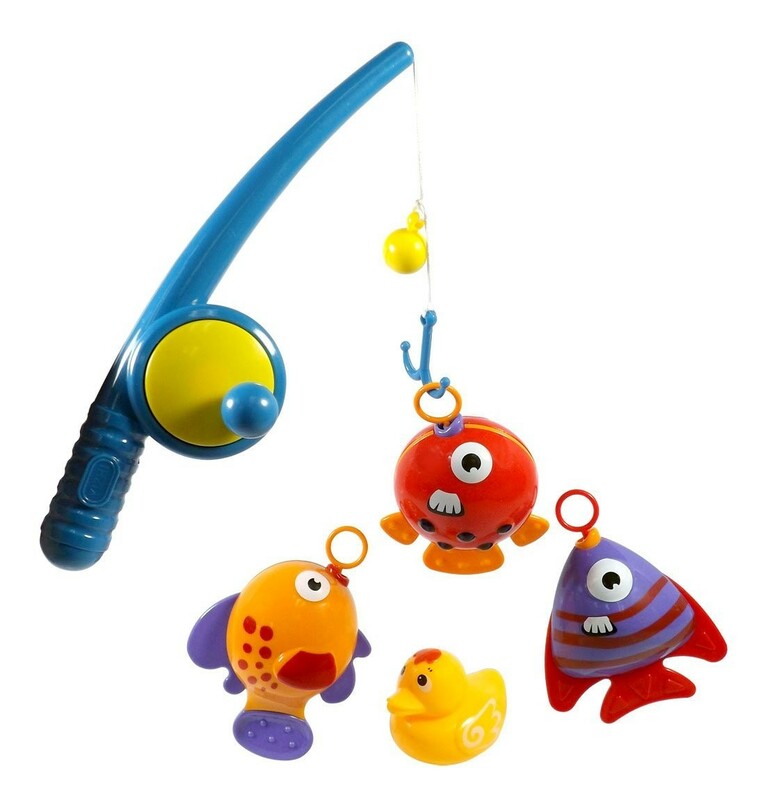 The fishing toy let your kids catch assorted colorful fish. It includes 3 unique fish and 1 small yellow duck. The rod on the reel can spin just like the real one and can actually reel in fish. Have fun watching your kids fishing these small little fish with their small little rod in the bathroom.